At the beginning of the school year, we work as teachers to build a community of learners. We earn the respect of our students by demonstrating respect. We share books and stories that bring us together as a unit. From individuals who step in the first day, we become a family. Throughout all the content areas of my day, students have partners and groups to work within. We have math communities, book clubs, and writing partners to name a few. If I did not have a community established, then considering small groups led by students would be much more difficult. The efficiency teachers are able to gain because of small groups is essential to the needs of the workshop teacher. As we move students forward, facilitating the engagement and pulling away is always our ultimate goal. Modeling small group conversations with three-four students for a strategy group allows for a great use of time within the workshop block each day and begins to set the stage for more student-led practices. Student-led or student-selected small groups are more than just an opportunity for students to share expertise. Giving students the reins to go beyond the teaching share and showcase a skill they’ve mastered not only benefits the students in the group it strengthens the connections for the “teacher” as well. As students are given the opportunity to share improvements or examples of their understanding, explaining the process strengthens connections to their own learning. Starting out the process of modeling through the teaching share time within our workshop is a place to start the conversations that later lead to small groups led by students. A few years ago I made a connection with Annemarie Johnson at NCTE. She later shared with me a project her and a colleague had been working on to help teachers as they confer next to writers. 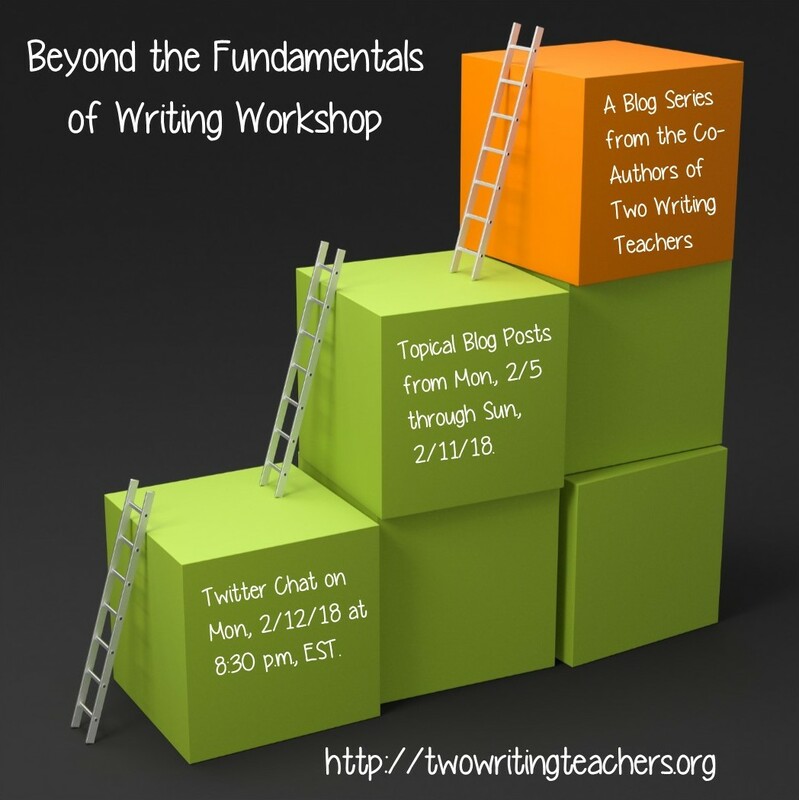 I was new to third-grade and thought the companion might be of help to me as I shifted my conferring conversations from kindergarten writers to third-grade writers. The companion offered mini visual aides for me and enough text to jump start my conversation if I was stuck. Once I was more comfortable conferring with third-grade students across multiple units I needed the companion less and less. It was the ideal scaffold as I framed my conversations with older students. I realized later it was a valuable tool for my students to utilize as well. Using the conferring cards, I am able to offer a visual on the spot specific to one area within the unit. If the student and I determine that development within a story is a strength area, the visual tool allows the writer to decide which area within the development is his strongest. Choosing an effective teaching point garners greater success for a student-led seminar or small group. I try not to use this as a menu or a checklist, but more of a talking piece. I believe choices are important, and this is one way students can self-select strength areas within a conferring session. Setting things in motion from a conferring session to a small group is the leap that can take the most time. Allowing students to use the tools that assisted them in their own learning can be a benefit to all. Students can utilize mini-charts or create their own. When students get the opportunity to plan the teaching of their peers I often see their realization, this is hard work. 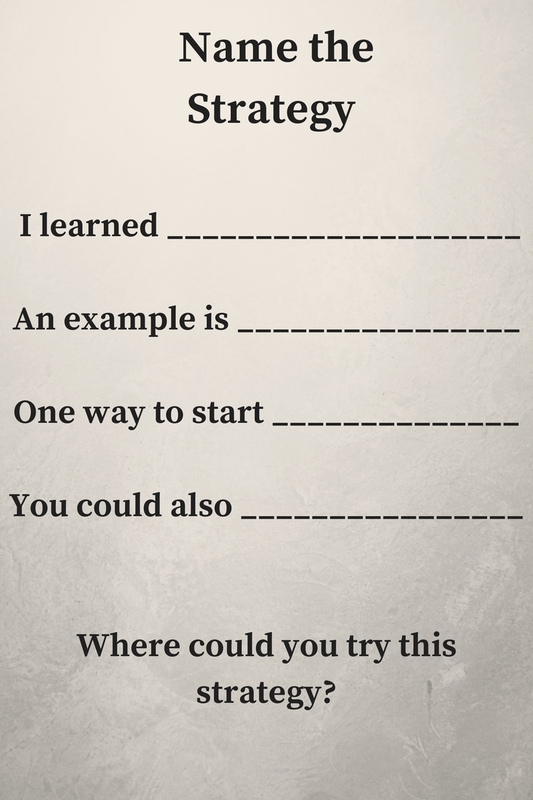 Some students benefit from a quick cheat sheet of simple sentence stems to get the conversation going. Partner talks and teaching share talks have a life of their own. The interaction between sharing the work and complimenting each other while offering suggestions is different from one student leading others on a journey toward building a strength. However, when students are able to share their strength while sharing their own evidence, the learners have a moment as well, I can do this too! Ensure a community is established first. The structures of a small group have to be heavily modeled. Use your conferring notes and observations to lead students toward sharing a mastered skill. Meet with students to ensure that all necessary tools are accessible. Consider personalities, comfort level, and social skills of the students grouped if independent. + + Bonus: Allow students to develop their own seminar topics to lead student selected small groups. This is one area of student-led small groups I hope to improve and try more often. This allows students who feel confident within one strategy area to post a seminar topic on a community calendar. The idea reminds me of the pineapple chart technique some teachers are trying when inviting teachers into their classroom. However, this seminar would be student-led, within one skill area, and be a quick five-seven minute tutorial at the carpet (or designated area) on the selected day and time. I think giving students more freedom to highlight areas of strength they feel confident sharing, gives more purpose to the work and I hope to encourage my students to take the risk and set up a seminar for their peers. 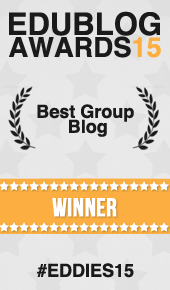 For links to several posts on small groups click here. Lanny Ball shared a post last year focused on small groups within the middle school classroom. A post from Melanie Meehan includes information about small group seminars that may help you as you structure student-led seminars. Here are some of my favorite resources when I am planning supports for student-led small groups. Information regarding our Twitter Chat on Monday evening, as well as giveaway information, can all be found below. What a great post! At my school, we are talking about making sure to have one-on-one conferences or check-ins with each student at least once every two weeks. I loved having students give feedback on their writing and love even more your idea of giving the students something that they can refer to. I also thought your tips were right on. Sometimes teachers forget that things like this take time and need to be in place and even revisited sometimes. Very important tips! Thanks for sharing, I will share this post with my principal! I had never heard of a pineapple chart before. (Though I remember learning about pineapples as a symbol of hospitality on a family vacation down South sometime in high school!) I think taking that idea and turning it into something that can be used in the classroom for small group work is a great idea! Thanks for the glimpse into more ways to embrace student-led small groups. I find that my students are very empowered by proposing small groups they could lead, signing up to attend others’ small groups, and gathering mentor texts and resources to lead a small group. 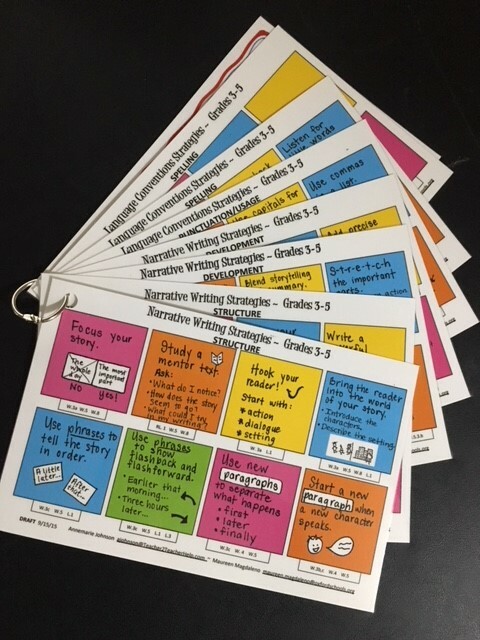 I love the Name the Strategy page that could be used like an exit ticket to promote transfer to individual writing. Checklists or learning progressions could be cut up and prepared on a ring similarly to the conferring cards. Cheers for a great article! Feel free to reach out to her for more information on the Conferring Companion. I too am intrigued by the cards! Where can one get them? I am also wondering about the source for those conferring cards. What an intense post! I have been trying to let my second grade students take over one small reading group a week during the previewing of a new text. I used some of the basic principles of socratic circles and spiderweb conversations. Then my students practiced using the question “what do you notice”to preview the text. I gave them feedback after the conversation about how many times each student spoke and posed questions about how we include people who chose not to speak. This has been a powerful tool in my classroom. 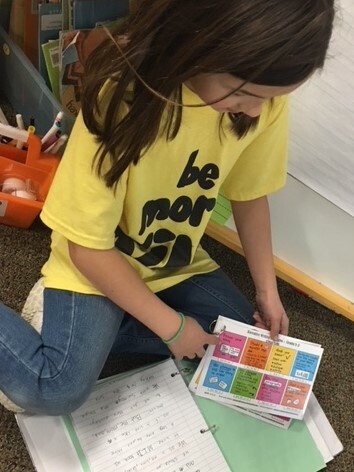 I love the idea of building capacity in the group letting one student articulate a strategy they others need to take hold of as readers or writers. I’m definitely going to run with this one. Are these conferring cards available to purchase or download? This is phenomenal! Can’t wait to put it into motion!